Fibonacci fans, this setup is right up your alley! 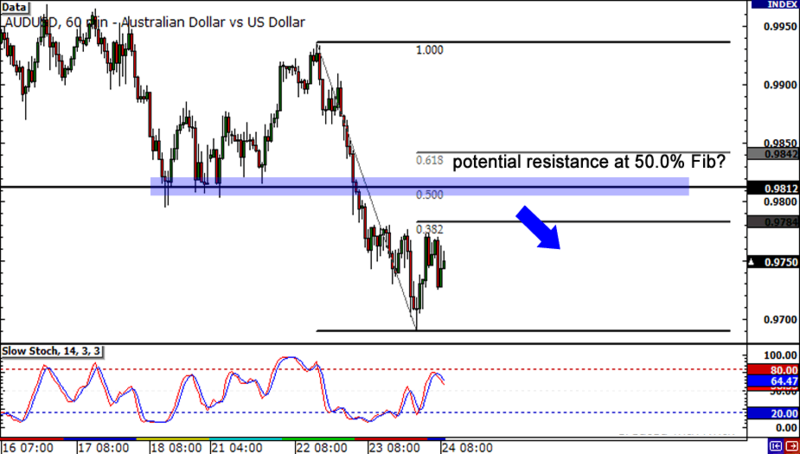 AUD/USD has been on a steep decline lately, making retracements the name of the game. If you’re looking to hop on the short bandwagon, keep an eye out for that .9810 area. Not only was this a nice support level last week, but it also lines up with the 50.0% Fib! For now, just be patient and wait for the setup to materialize! Next up is this long-term setup on USD/CHF! And by long-term, I’m talking about the weekly chart fellas! 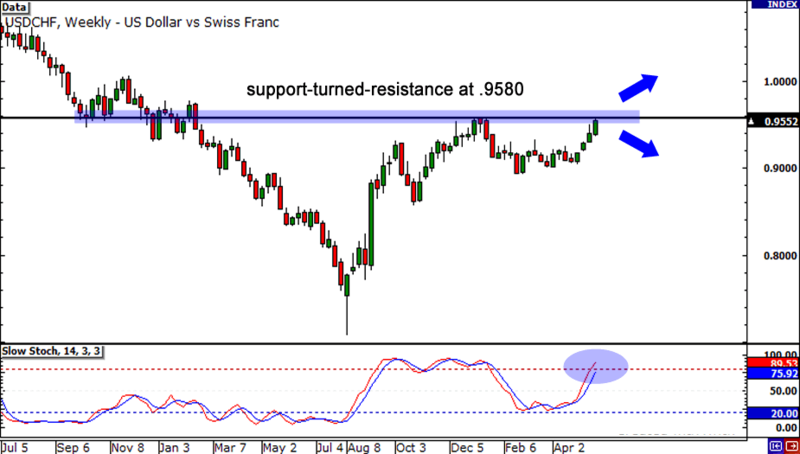 USD/CHF is now approaching the .9580 level, acted as a support-turned-resistance level in the past. If we see a reversal candlestick form just under .9580, it might be time to start loading up on some short positions. On the flip side, if we see a a strong bullish candle close solidly above the resistance level, it might be a sign that USD/CHF is headed back to parity! Lastly, here’s one for my brotha-from-anotha-motha, Pipcrawler. 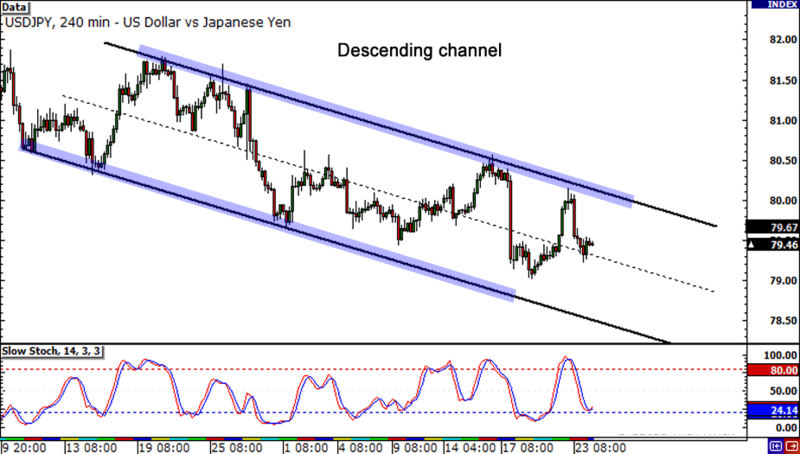 USD/JPY has been trading within a descending channel recently and is now chillin’ right smack in the middle of no-man’s land. I suggest waiting for this pair to either retest resistance at around 79.70 or support at 78.30 before putting up any positions on this pair. Don’t wanna get burned now do we?